After purchasing blackfire wet diamond all finish paint sealant and loving it, I figured I had to see what the hype was all about when applying their midnight sun ivory carnauba wax on top of it. Got this wax on sale through autogeek for a smoking deal. 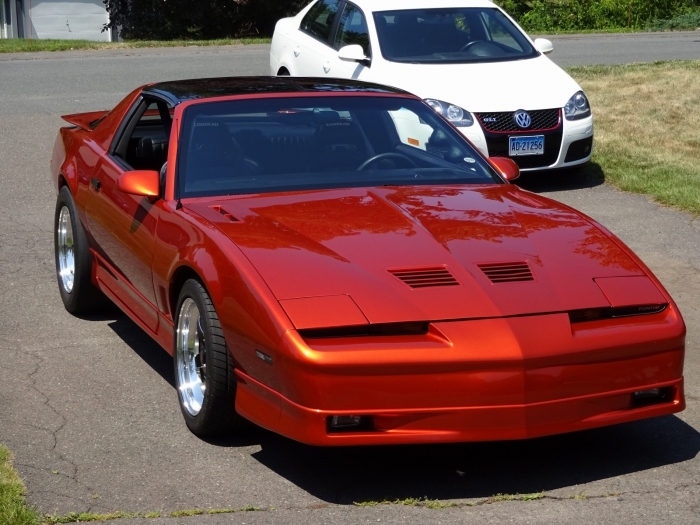 Went over my pontiac trans am with a polishing compound first, then applied the blackfire sealant, let cure for a day, and topped it off with this wax. 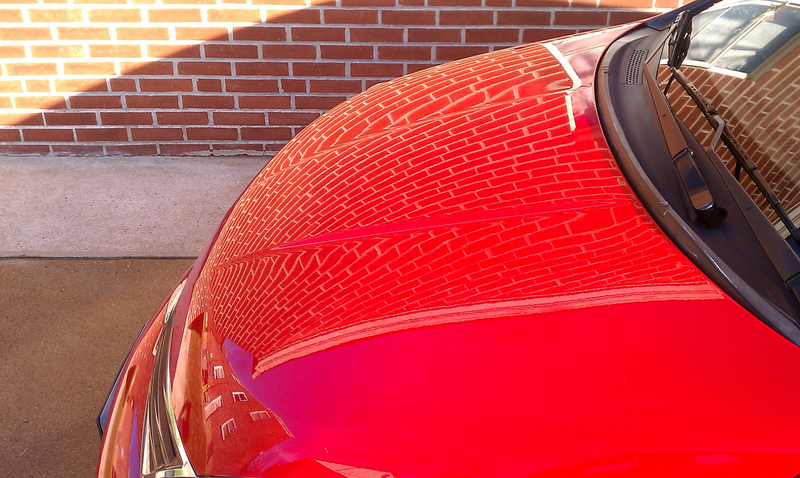 I can't even begin to express how amazing the depth and shine is on the car. It undoubtedly looks better than it ever has. Highly recommend this product for anybody with a show car that deserves the best of the best! I'm including a picture of the car as well after it was all said and done. Very easy to use and the results are nothing less than spectacular. I received positive comments all around. Works great on dark and light colored paint finishes. Fantastic product. I was skeptical now I'm a believer! I have never used a wax that made such a difference. I have a Black vehicle and this wax makes it look 3 feet thick. Love the shine and every reflection. You have to try this stuff! I am kind of a detail product nut like I'm sure a lot of you are. I bought this Blackfire Midnight Sun after I was not incredibly impressed with their polish or their high end "black" wax. I honestly wasn't even going to buy it. I also can't tell you for sure which polish I have right now since I don't have it with me. But my brother had me detail his black 550i with one of their polishes and the expensive black montan style wax for black cars. The polish was not even what I would call good compared to some of the others I have, but the black wax was solid. About 3 or 4 months later I detailed his car again and polished with Optimum Hyper and waxed with this Midnight Sun and the difference was night and day. The polish was way better, easier and looked better and the wax was just as easy and looked glossed. Granted this car Is new and had basically zero scratches so maybe it couldn't benefit from the black colored wax as much as some cars might. I have maybe 25 different waxes ranging from $10 to $300 and I honestly can say that this is my favorite of them all for looks, and it has decent staying power. I would say just guessing that this is more of a polymer type wax than carnuba, but whatever it is it works very well. ProsGlossy Slick Smooth Easy Apply Easy Remove Lasts a solid month or two. I'm being realistic here. I have several ox the waxes that they say last 6 months and guess what, none of them do. Still applies and removes when dewpoint and temperature get close. In live in a valley in Nashville and tons of humidity in the air, some of my waxes I cant even use at night when temps go down to match the dewpoint and the roof, hood and trunk start "sweating". ConsWish it lasted like some of the high carnuba content waxes, some almost 3 months, but I'm being awfully critical here but its the only thing I could think of. Went on easy, came off easier, left a super slick coating that adds tonssssss of shine. What else could you ask for? This wax is wonderful. Just everything about it is high quality. the jar, the consistency and scent. Insanely easy application and wipeoff to boot. The thing that I like about this wax is that it applies in a very thick layer. you can see this compared to other wax's. and then when you wipe if off it leaves the paint really level and smooth. The product does not have a very slippery feel, but its very smooth and substantial feeling. water beading is excellent also and it does have kind of a self cleaning effect that is better than any other carnuba wax I have used. Really nothing but good things to write about this wax. It leaves the paint looking super wet and glossy no matter what the color. Its very versatile. oh yeah, the price tag makes this a bargain boutique style product. ProsTodd Helmes creations live on ! ConsThe only con I can think of is that Todd Helme is now gone but his creations live on ! I usually apply this wax over BFWD and it makes the paint pop!! One of my favorite waxes.. Period. Extremely easy to use. Its a wipe-on-wipe-off wax so no waiting to dry. Great for metallics too! Really brought out the sparkle on my greystone metallic Silverado. Spreads like butter, wipes off effortlessly. A superior wax for sure. Highly recommended. Used it for the first time this weekend and am quite pleased with the results. Fantastic shine and depth. Compared to Souveran, buffing is a little more difficult and finish has a slightly different feel (BFMS being more slick while Souveran feels more velvety/soft). Tremendous reflections and the beading is outstanding. Will be maintaining with Polymer spray and BFMS Quick Detailer. easy on and off application! its reallly makes the car shine amazing! the only dislike i have ,it has no SLICK feeling to it !! if you want a slick feel tor your paint try pinnacle liquid souveran! cant go wrong with either !! I used this on my black 2004 Hyundai Tiburon GT V6, and I am so pleased with the gloss on my car's finish. I am sold on this product, and would highly recommend this product. You will not be disappointed. I like many of you have tried many products and brands and have mixed and matched many to get the ultimate shine. And having said that I have used Black Fire and am sticking with it. The wax is simply awesome and the shine is WET!!!! When used with Wet Diamond it rocks even more and best of all it lasts!!!! Wait at least 8 hours between applications and you will be amazed. I really enjoy this wax! I've had a tub sitting around for a couple months and finally used it. Wow! Very easy to apply and remove and looks great!